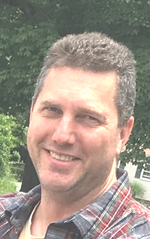 "Are thoughts and prayers are with you, we will miss you"
Gerald Lockhart Andress, 51, a resident of Dover Plains, NY, died on Wednesday, February 22, 2018 at his home in Dover. Mr. Andress was a Correctional Office at Green Haven Correctional Facility for 23 years. Born on May 17, 1966 in Alexandria Bay, NY he was the son of Edwin B. Scott and the late Susan (Jackson) Scott. On June 12, 2010 in Dover Plains, NY he married Caroline Kennedy who survives at home. In addition to his wife, Mr. Andress is survived by a son, Aaron Andress; a step-son, Philip Loverro and a step-daughter, Ashlee Loverro. He is also survived by his brother, Kerry Jackson and a sister, Angela Navarro. To send flowers to the family of Gerald Lockhart Andress, please visit our Heartfelt Sympathies Store.